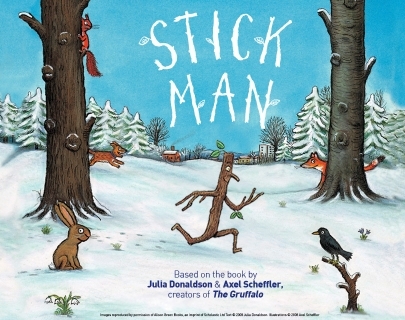 Scamp Theatre’s delightful adaptation of Julia Donaldson and Axel Scheffler’s hugely popular children’s book Stick Man is coming to Warwick Arts Centre! Touching, funny and utterly original, this award-winning production features a trio of top actors and is packed full of puppetry, songs, live music and funky moves. 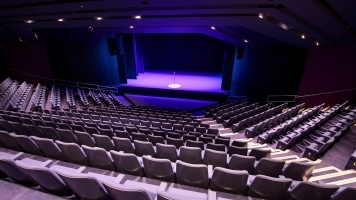 Weekday performances between Thu 24 Nov and Thu 15 Dec are designated as schools performances. They are general admission events designed for school groups. School Groups benefit from a reduced ticket price of £9.40 – please email groupbookings@warwick.ac.uk or call 02476 524 524 to find out more. Children with severe learning difficulties welcome Tues 20 Dec 3.15pm.